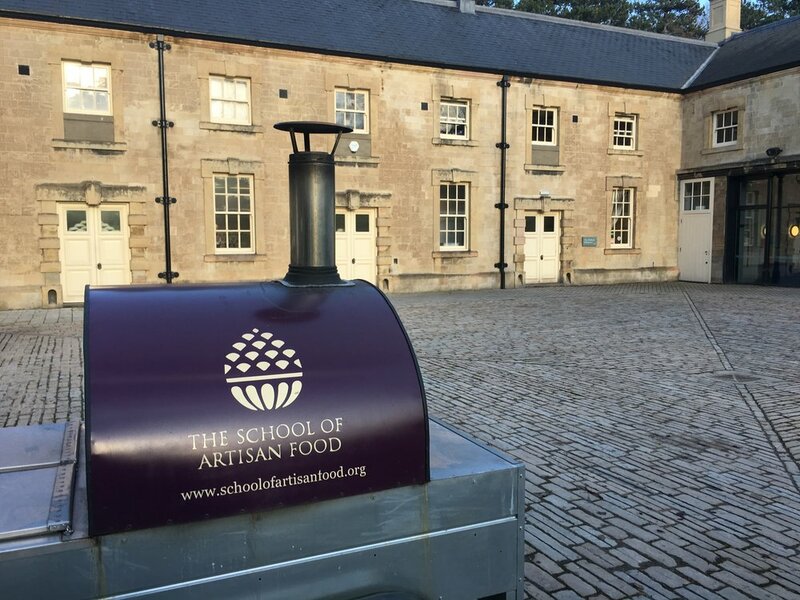 Monday 4th February saw our chefs along with Peter Moulam and John Fitzpatrick travel to the Welbeck estate for a visit to the Bakery and School of Artisan Food. Having long been a customer of the bakery we were keen to learn more about the traditional techniques used and see how their sourdough bread is made. Mark Garry, the General Manager, met us and gave us an overview of the business. Having been established over 10 years sales have grown to the point where just short of one million individual products were produced last year. After donning blue hair nets Mark then showed us around the bakery. A team of 9 bakers is supported by 6 drivers with Mark and his assistant Marie, in the office. With some of the products taking up to two days to make planning and organisation within the smallish space is essential. Mark took us through the process starting with the sourdough starter being mixed with flour, water and salt. This is mixed and rested over a period of a few hours before being shaped for its first “bench rest”. This allows it to gently develop at the ambient temperature in the bakery. After a few hours it is then shaped and put into a floured baneton - this is a mould with ridges on the bottom which gives the loaf its shape once turn out immediately before baking. The filled moulds are transfered to the prover which holds the temperature at 1 degree C overnight ready for baking the following day. The specialist ovens which create intense heat on their decks and inject steam to create “oven lift” essential the the final rise and crust quality. Sourdough tin loaves which have getting on for two days fermentation before baking.